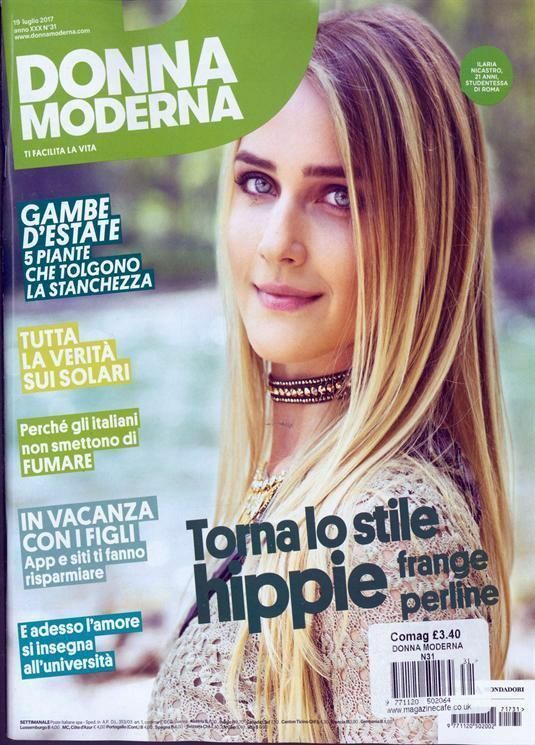 Italy's most successful women's title, Donna Moderna, has been, since its launch 16 years ago, the absolute leader both in terms of circulation and readership. Together with its two monthly supplements, Casa Idea and Donna In Forma, and a special supplement Donna in Cucina it is the leading women's weekly for advertising revenues. The service-based editorial formula features variety and completeness, quality journalism and makes the magazine the preferred choice of dynamic, curious and modern women. In Italian.